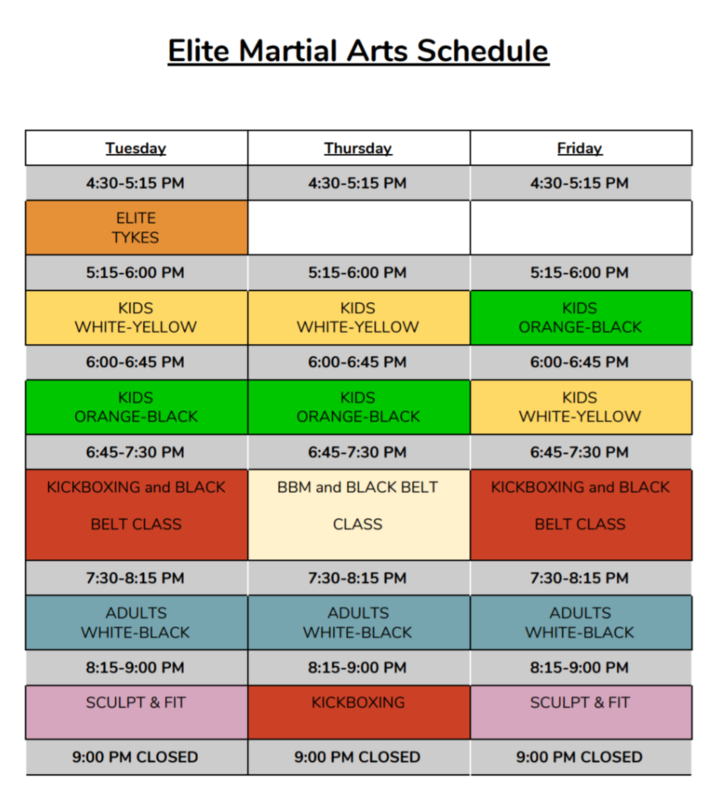 Elite Martial Arts and Fitness Centre is more than just a physical dojo. Our students and instructors represent us and themselves not only within the dojo, but throughout the community. It is our goal and our privilege to share our knowledge with others. We offer in-class instruction for karate, fitness, kickboxing, personal training, hockey skills, and self-defense. Renshi Guy is also a respected instructor within the school and sporting community of the greater Ottawa area. I was fortunate enough to have met Guy while I was playing for the Ottawa Senators. His technical training and attention to detail provided me with strength, speed, agility, and power. Guy definitely gave me an edge over my opponent every time I stepped on the ice and when the time came to drop the gloves, his training provided me with everything I needed to take care of myself. Guy is a passionate man who helped me to achieve a confidence on the ice that I may not have seen otherwise. At CIH Academy we were looking for a unique way to improve the fitness and strength as well as the discipline of our athletes when we put the off ice program together in 2011. At that time I knew that Sensei Guy had been working with the Ottawa Senators and many local teams on a frequent basis. We reached out to Guy and he joined the CIHA team offering a uniquely intense martial arts based cross training program to our student athletes. The intensity and focus of these work outs are unparalleled in the fitness world and the athletes benefited greatly almost immediately. As I observed the progress and growth of our students after each session we committed to a more comprehensive schedule and program with Guy. Guy began to gain the trust of the athletes and build a rapport with them which has led to additional independent classes being offered to some of of our elite athletes on a one on one basis. I highly recommend Sensei Guy and truly believe in his development and training model. Thank you for your continued dedication to CIHA and the student athletes you guide and support Sensei. As a head coach, here at the Canadian International Hockey Academy, we are selective as to whom we bring on board to work with our students, both on and off the ice. Guy Ouellette, of Elite Karate, Kickboxing, and Fitness, has been an excellent addition to our off-ice program. Having many years of experience, I have learned the importance of diversifying a player’s training regimen in order to achieve optimal, peak performance. Adding Sensei Guy’s Karate class to our program keeps the players interested as well as improves flexibility and strength in a very disciplined environment, that our students both respect and enjoy. I would highly recommend his services to enhance any training program. Guy Ouellette has been instructing self defense and fitness classes at Lisgar Collegiate for many years. The program is very well designed and his delivery is exceptional. The feedback from our students is overwhelmingly positive. The program develops functional strength, agility and cardiovascular fitness. Students learn and practice technical skills to remove, and protect themselves from physically violent situations. His instruction helps develop transferable movement skills that are essential in a wide variety of physical activities. Decision making, character development, verbal and non verbal communication, attitude, social awareness and conflict resolution are some of the points of emphasis that are developed in his classes. He helps reinforce the character attributes that I aim to develop in my students. Sensei Guy Ouellette is a passionate educator who holds his students to a high standard. Sensei Guy challenges his students to pursue excellence, and in turn, empowers them with the skills they need to meet their goals. Sensei Guy’s depth of knowledge, and wealth of experience, complimented by his charisma and energetic approach, ensures the full engagement all of the students in his care. Guy is fully invested in what he does, and watching him work is inspiring. I am always impressed with the extensive development in ability, and growth of self-esteem I observe first hand, in the students in Guy’s classes. I believe that it is the time, support, and individualized instruction Guy offers his students that help them to achieve such a high level of success. I highly recommend that you invite Sensei Guy to work with your students. His program and teaching are excellent, and I am certain he will be a huge hit with your students. Thank you for such an unforgettable field trip. I don’t think that there is anything you can do to improve it as it is already great and hard to beat! Keep doing what you are doing. You are inspiring many people. Thank you for inspiring me. I have had the privilege of working with Sensei Guy Ouellette in a school setting on an annual basis since 2001. He has worked to teach basic self-defense techniques to secondary students. More importantly, he works to reinforce within them the key values of respect and honesty, and the skills of communication and conflict resolution. Sensei Guy`s curriculum has evolved over the years to reflect adaptations in technique based on his learned experiences, and to reflect Ontario`s revised Health and Physical Education curriculum. The material is supported by personal anecdotes told in a way that the students find engaging and make them want to further their learning. Students are always coming to him to share stories and ask follow-up questions. Our students welcome him in class, and former students are stopping him in the halls to say hello. It is without reservation that I wholeheartedly recommend Sensei Guy Ouellette of Elite Martial Arts as a self-defense instructor for secondary school students. I’d like to thank you for the amazing five classes you have taught to our class. We not only learned defense mechanisms that are important if anyone were to try to hurt us, but you pushed us to keep going, even if we were feeling tired. I know what you have taught us will continue to be useful in our lives as time goes by, and I am very grateful that I got the opportunity to be in your classes. Jai beaucoup aimé les 5 cours avec sensei Gui, et j’ai appris beaucoup. Je me sentis tres préparé pour ces situations. Merci beaucoup!! Care to share a testimonial?